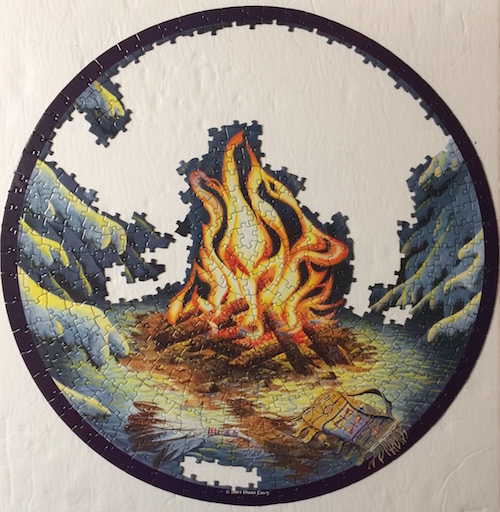 The border was tricky since all the pieces are colored black and the fact that the pieces are cut loose made it tricky to determine if the pieces were in the correct place. 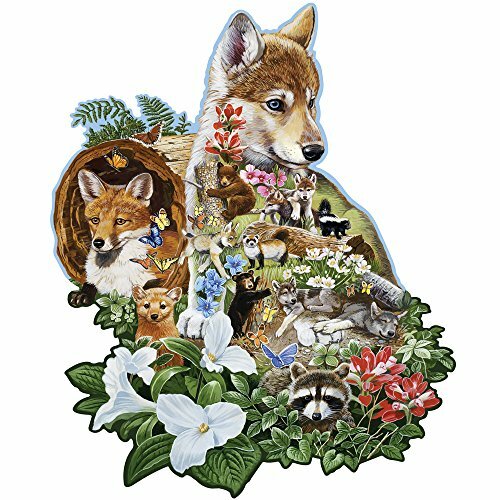 I did not sort this one in my usual routine since the basic colors were black, yellow/orange, white and shades. 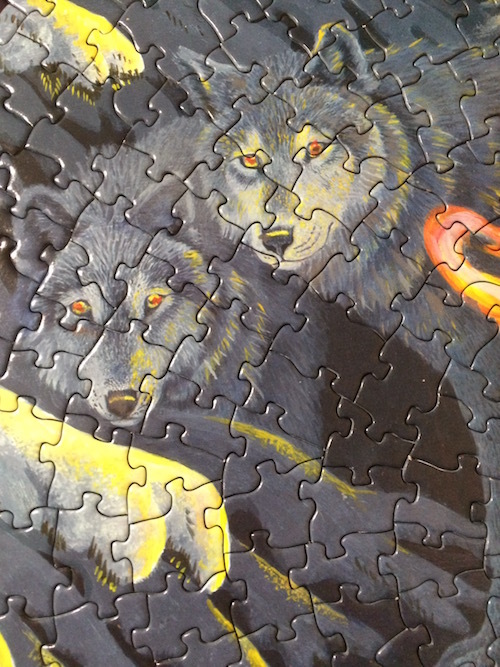 But I did lay the pieces out onto the foam puzzle boards. 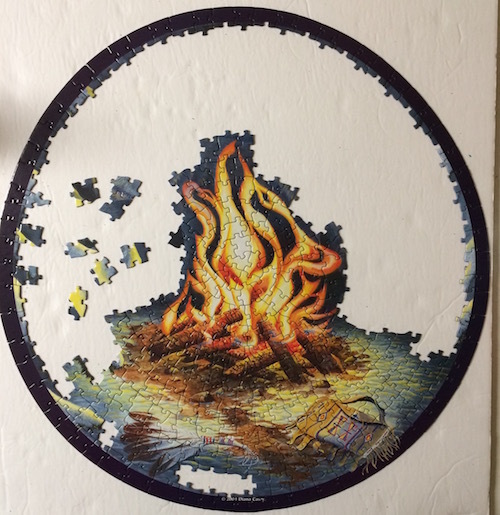 The size of the Wildfire jigsaw puzzle is 19 inches in diameter which seems to barely fit on the 20 inch puzzle board. 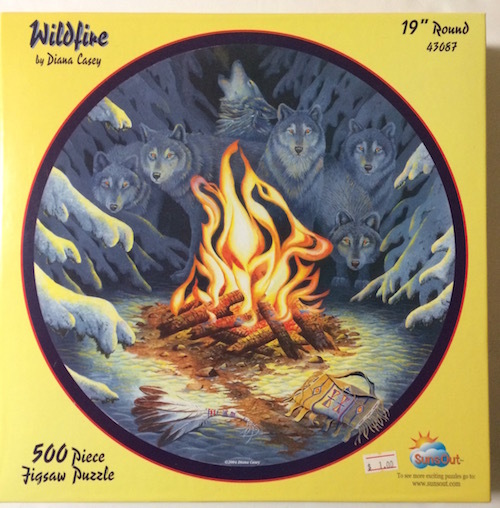 I started with the native artifacts first, then worked my way up to the logs, then fire, then the snow covered trees. 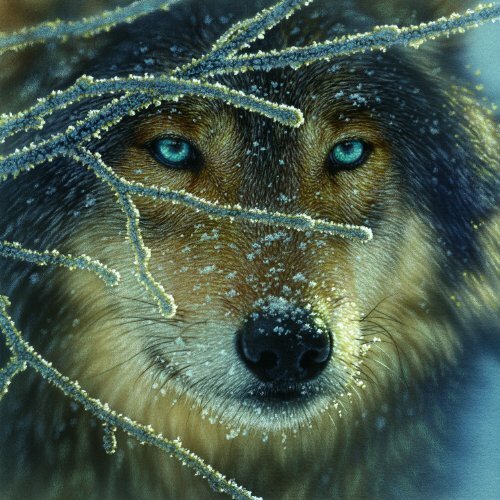 That left the wolves in the dark background. 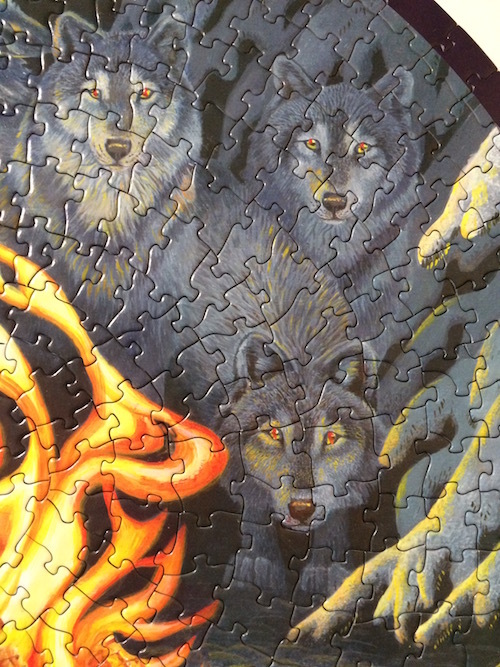 I paired up the eyes and then basically built the wolves by paint-brush strokes and puzzle piece shapes. 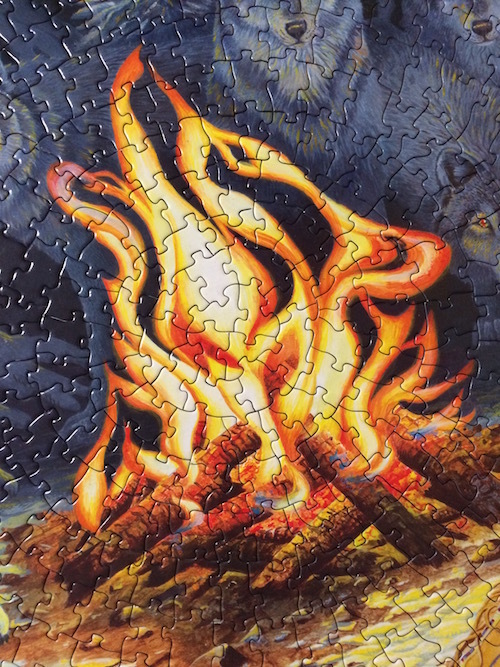 The extra shiny finish on this puzzle made such a glare that I had to move the puzzle workspace away from the overhead light. 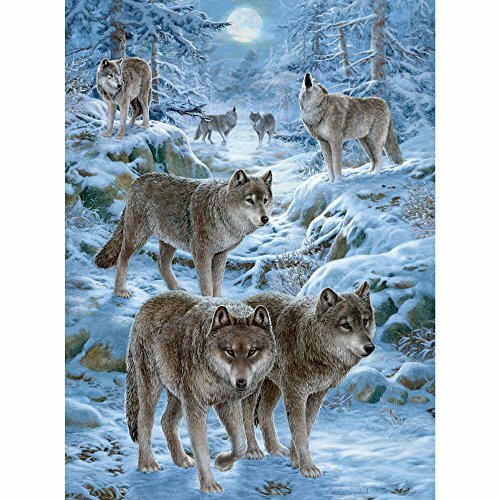 The brush strokes make the pieces somewhat unclear at times and the color blends in the snow-trees/wolves area somewhat testy. 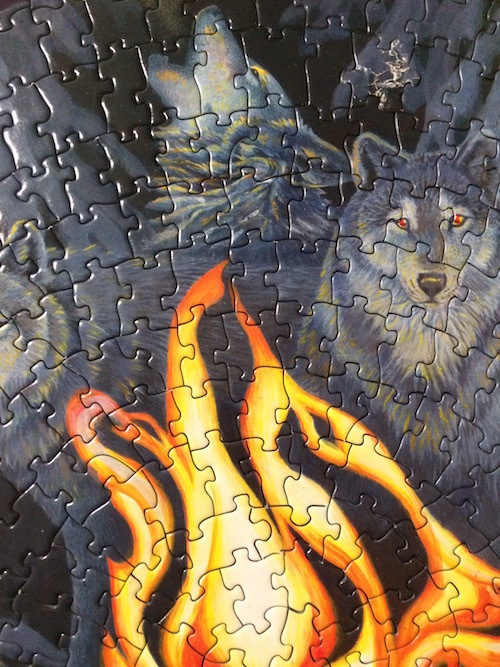 And yes, there is 1 damaged piece that appears to have been rescued from a 'furry' puzzle companion. 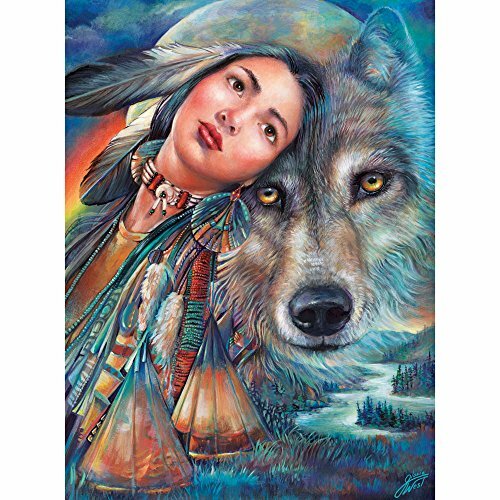 So the loose cut, the color blends and brush-strokes made for a challenging experience, however the completed image returned the reward of achievement. 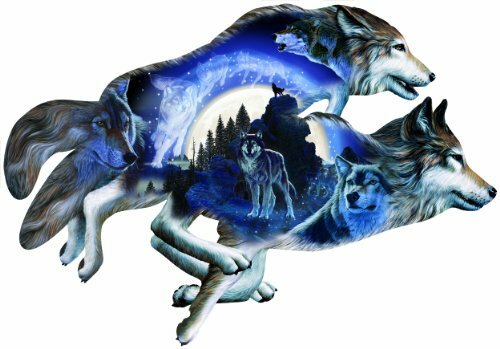 The following images gives an excellent view of the pieces random cut shapes and fine details of the wolves. 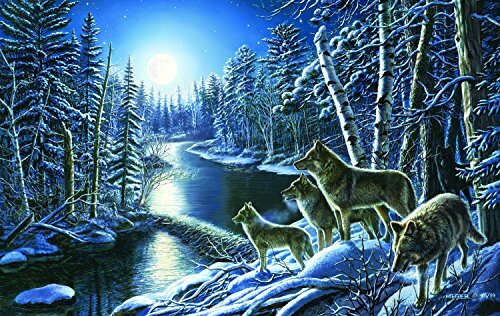 Can you spot the 7th wolf? 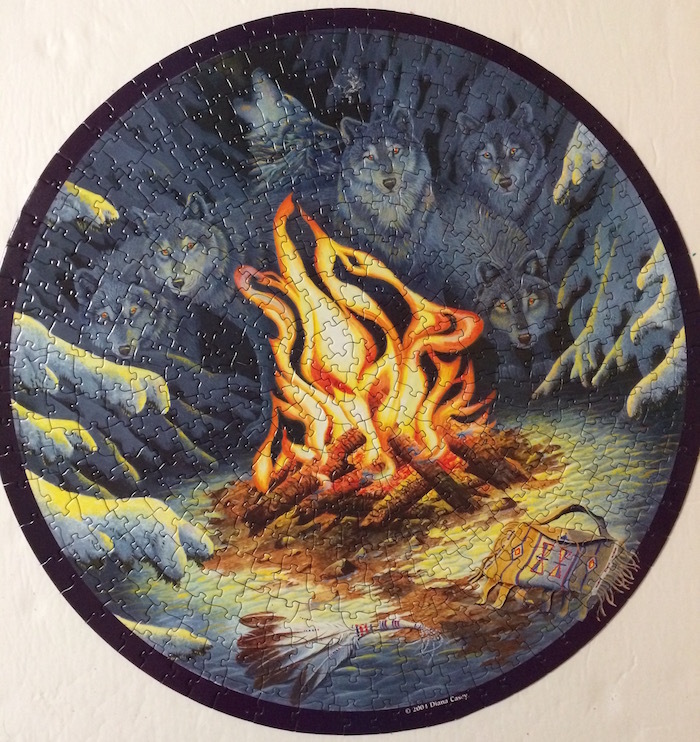 In this case it was the price of $1.00, the image and the 'round' shape that was the attraction for this Thrift Store purchase. 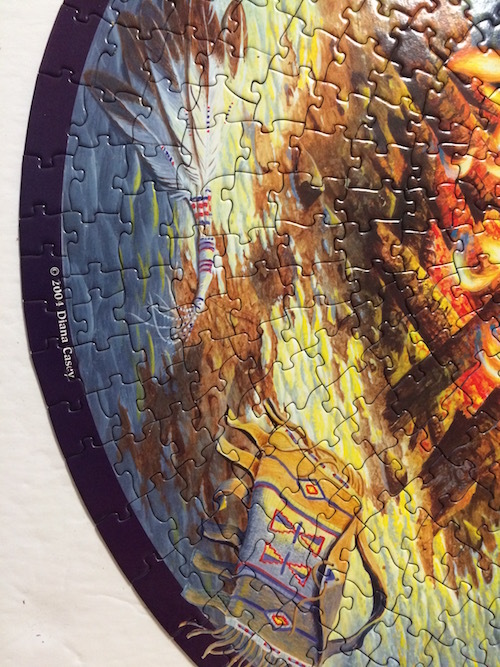 I am pleased all the pieces are available which is always like a little bonus.